Battle for Azeroth™ is in full swing, and everyone is needed on the front lines. 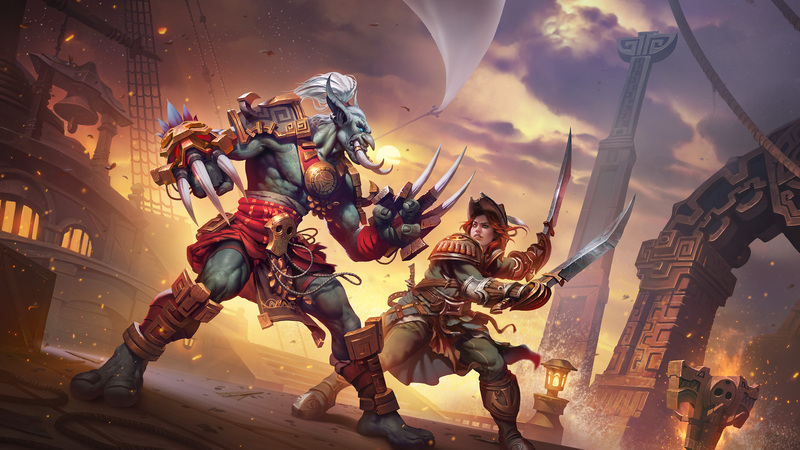 This weekend, we’re upgrading all inactive World of Warcraft accounts, granting returning players full access to the game* and all their characters—including the Battle for Azeroth trial experience, for those who don’t own the latest expansion—through March 24. If you’re a returning player, it’s the perfect time to take advantage of our current sales. We’re offering 30% off select game services** and $20 off World of Warcraft: Battle for Azeroth or the World of Warcraft Complete Collection. *Offer available through March 24, 2019. Player is responsible for any online connection fees. Game access will be granted at the last expansion purchased or World of Warcraft®: Legion®, whichever is greater. The Battle for Azeroth trial experience ends after three hours of game play in Battle for Azeroth, or after the quest "We Need Each Other" (for Horde) or "A Nation Divided" (for Alliance), whichever comes first. Players can repeat the trial experience with up to 12 characters per qualifying account during the welcome back weekend. **Sale does not include Guild Services, WoW Token, Character Boost, Pets, Mounts or Transmog items.